The arrival of two Beluga whales threatens to split Maine's Quarry Cove and Pepper Mill villages. Angry Quarry Cove fishermen fearing for the loss of their fishing, prepare to kill the whales, while Pepper Mill Village packers see a better solution. Tiny Quarry Cove is flooded with crowds of excited whale watchers angering the police chief who joins the anti-whale crowd. 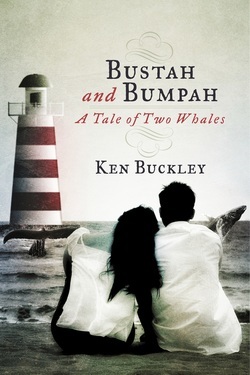 Unflinchingly, lighthouse keeper and postmistress Nettie Beal aided by her two young friends Karl and Christine, face off against the law, and family pressures, mounting a full-scale campaign to save the whales. The story was inspired by an actual Maine event. Ken Buckley loves writing. At 18, fresh from England, he lived on Cranberry Island where he first published with the Ellsworth American, when he wasn't painting houses, shingling roofs, building fishing weirs, or baiting lobster traps. After serving with the Marines in Korea, he worked 32-years with the Bangor Daily News, and later, three small weeklies, including one of his own. Married with two grown children he has one grandson. Family, sea, sailing and writing occupy his life.